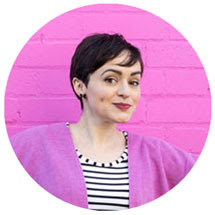 Tilly and the Buttons: Ten Tips for Pressing Your Sewing Projects Like a Pro! 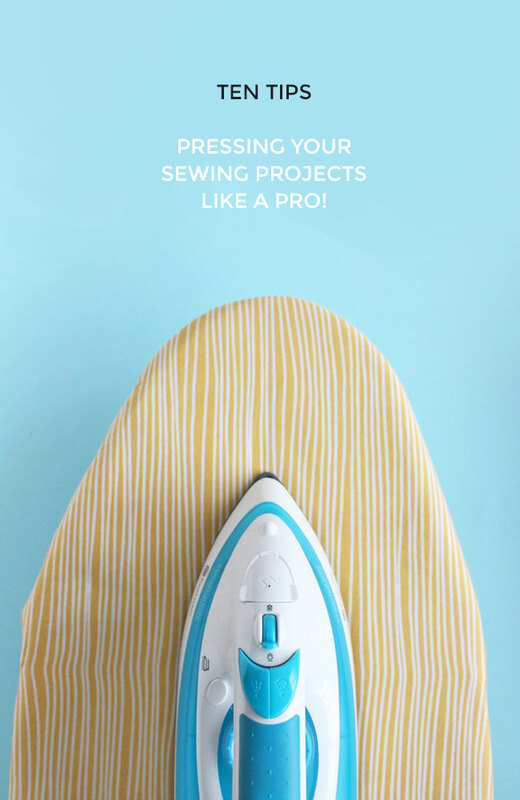 Ten Tips for Pressing Your Sewing Projects Like a Pro! If you’ve been sewing for more than ten minutes, you’ve probably heard that pressing can do absolute wonders for your dressmaking projects. 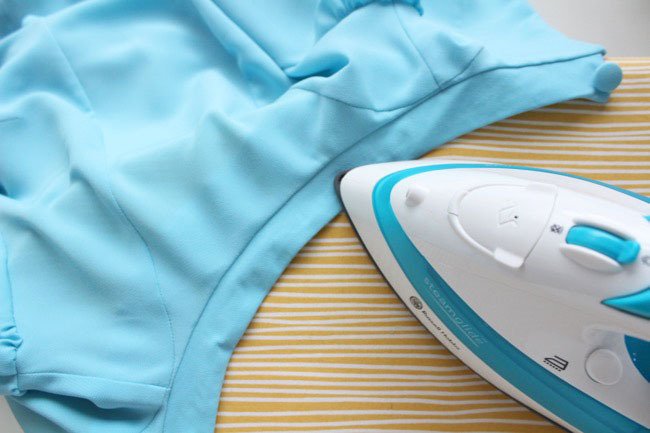 A hot and steamy session with the iron can shape and set fabric, smooth out wrinkles, create neatly defined seam lines, and generally take your handmade creations to a whole new level. Today I thought I’d share ten tips for pressing your sewing projects. And I’d love to hear any other tips you have in the comments! When pressing a seam, give it a quick press as sewn first, in other words, while it’s still flat, before you fold the seam allowances open or to the side. Pressing it flat will help set the stitches into the fabric and reduce any impressions made by the thread. Next, press the seam either open or to the side on the wrong side of the fabric, gently pulling the fabric away from the seam line with your fingers. Finally, press it on the right side, again easing the fabric away from the seam so you aren't left with any ridges. The heat and steam from pressing can help “train” a garment into a particular shape. 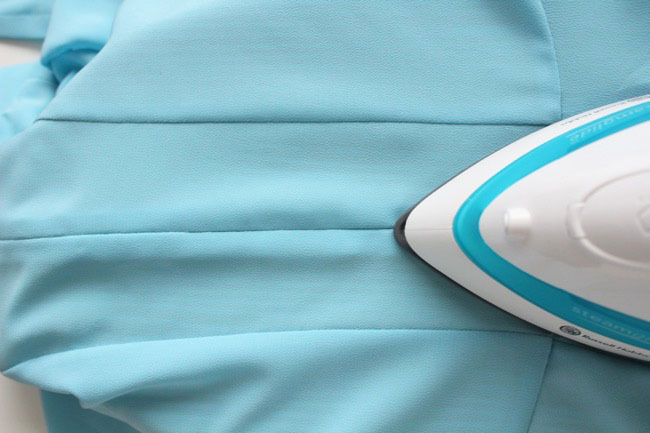 Try to avoid pulling a curved area, such as a neckline or collar, into a straight line as it’s going under the iron. Set up the shape you want to create first, then press the iron on top to set it. 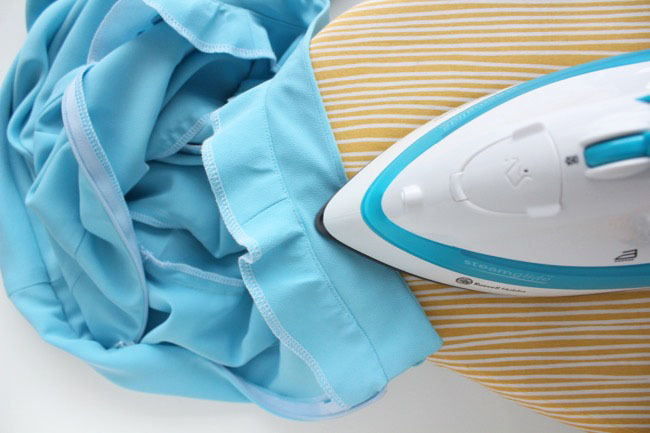 If you just want to press a small area, such as a collar, and don’t want to squidge up the rest of your lovely dress, position the collar on the end of the ironing board and dangle the rest of the fabric off the end of it. That way the iron will only press the bit you actually want to press. 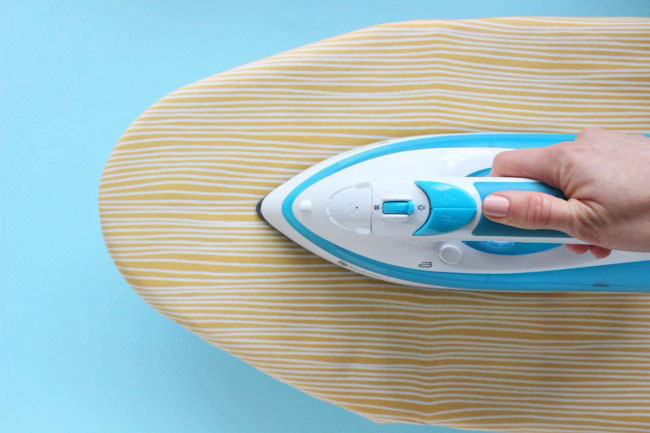 Ironing boards are wonderful inventions, but sometimes you need an extra tool to help press the garment into the shape that you want, rather than just flat. Press darts and other curved areas over a tailor’s ham to help give them a nice shape. Insert a sleeve board or seam roll into narrow tubes such as sleeves and trouser legs that won’t fit over your ironing board. Don’t want to invest in extra tools, or want to DIY it? Tightly roll up a towel as a makeshift alternative, or here’s a great tutorial on making your own tailor’s ham and seam roll (or sausage). 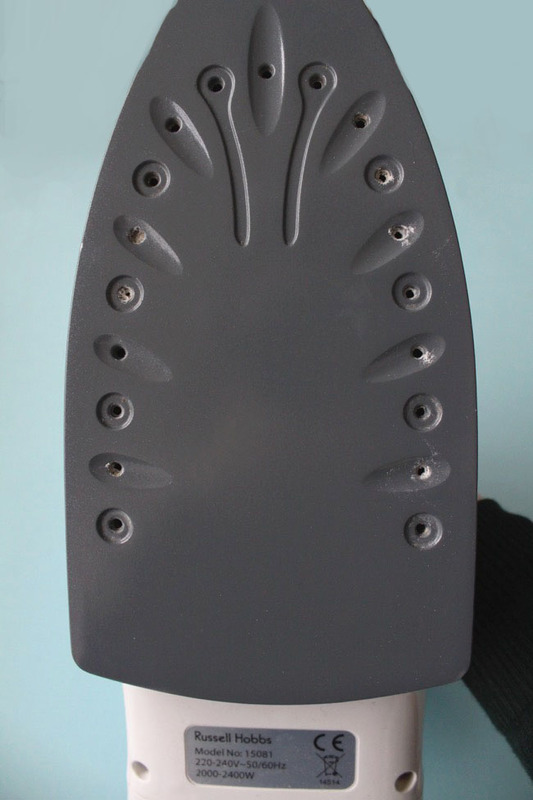 Touching the plate of the iron to the fabric can sometimes damage it, leaving an unwanted sheen or even scorch marks. Always test out the iron setting on a scrap of fabric to check it’s not too hot and that it can handle the steam. If you place a pressing cloth – in other words, a layer of muslin, another or the same fabric, or even a sheet of lightweight paper – over the fabric before pressing, it should help protect it from excess steam and heat so you can turn the setting up a bit higher. A pressing cloth is also handy for pressing interfacing to fabric to help stop it squidging up with the moisture from the iron. 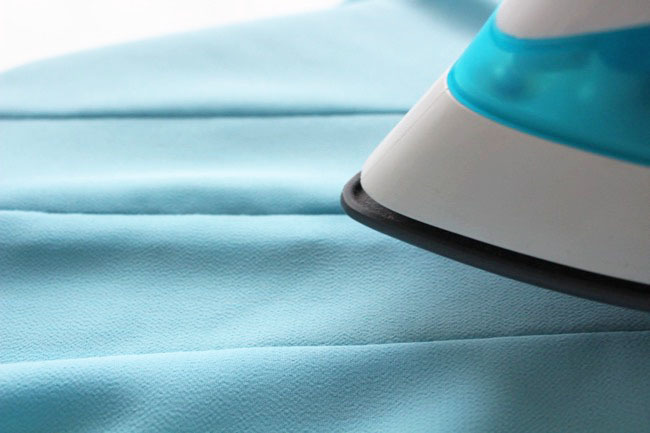 In fact, you don’t necessarily need to touch the iron to the fabric at all in some cases. Press the seam open or to the side using your fingers, then, with your fingers out of the way, hover the iron over the seam and puff out some steam. Now, while it’s still hot and moist, run your fingers along the seam line again to reinforce the shape. Mind you don’t burn your fingers! 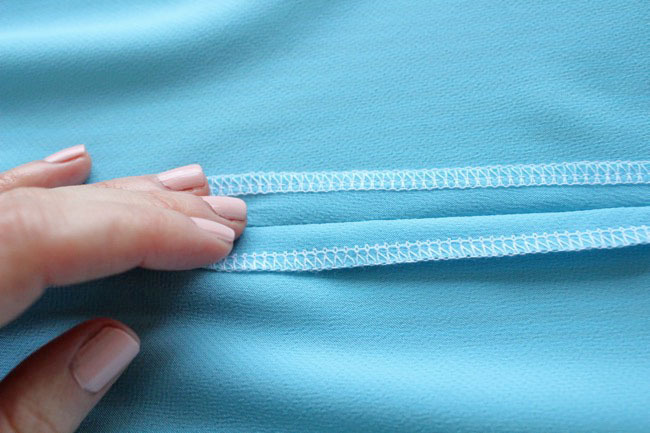 Have you ever pressed a seam and found that the edge of the seam allowance leaves a line mark on the fabric? Most annoying. Slip a strip of heavy-ish paper or card between the fabric and the seam allowance before pressing to avoid it leaving impressions. If you live in an area with hard water, you’ve probably suffered the dreaded murky water splutter on your lovely handmade dresses. 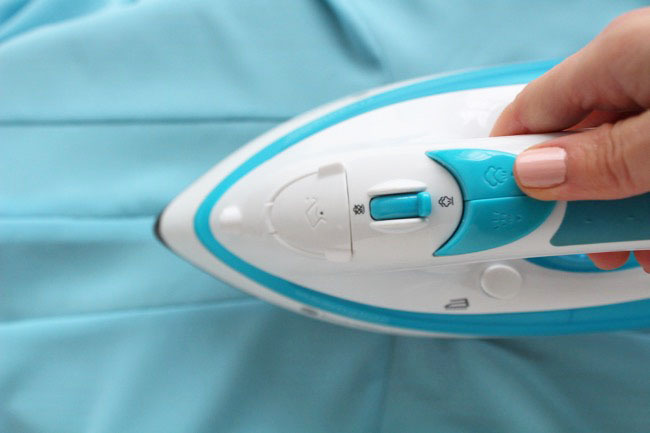 The higher concentrations of minerals in hard water makes irons prone to limescale build up, limescale that they’ll eventually spit out all over your treasured Nani Iro double gauze. 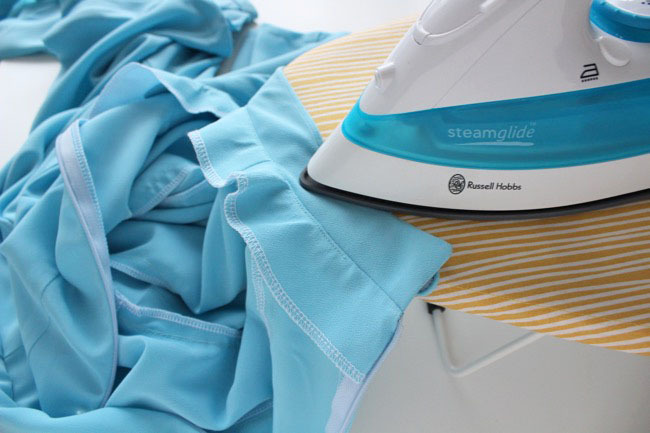 You can help keep your iron steam fresh by mixing tap water with distilled water or special iron water. The latter can also make your clothes smell gorgeous, which is always a bonus. If you’re following instructions in a book or pattern, they may tell you to press a seam after sewing it. That doesn’t mean you have to press it then and there before moving on to the next step – you’ll save time by batch pressing a few seams at once. Just make sure you press a seam before you sew another seam across it, otherwise you won't be able to press the whole length of it the direction you want it to go. 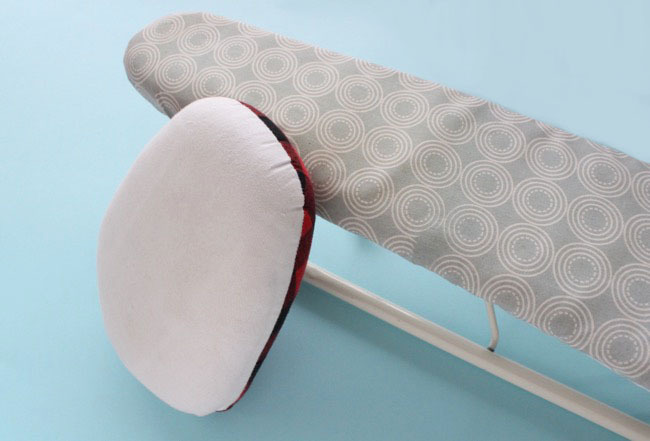 Last but not least, if the Ikea cover on your ironing board is doing nothing for your life, make your own cover in a snazzy fabric of your choice! 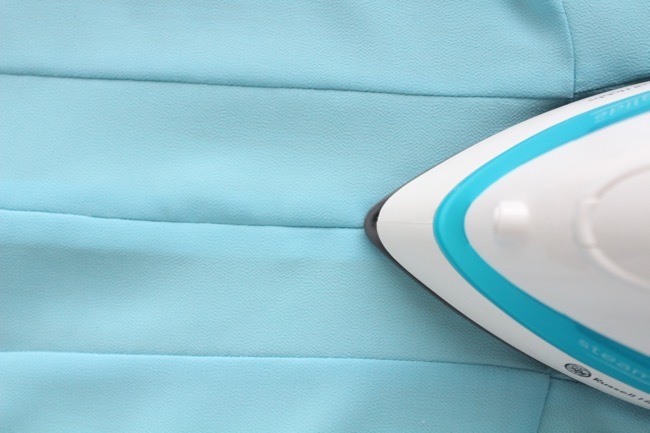 It’ll brighten up your sewing room and put a smile on your face every time you plug in that iron. 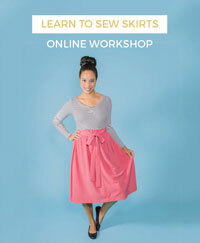 Do you have any pressing tips for sewing projects of your own to share? Let us know in the comments!